Status: For schools with up to 250 students. Call (866) 344-7758 for larger school pricing. 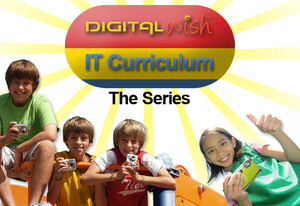 This comprehensive IT Curriculum is the result of three years of federally funded research by Digital Wish implementing one-computer-per-child initiatives across 28 schools. Their experienced trainers carefully studied the process of technology adoption in the classroom, in order to create a model curriculum that would allow other educators to replicate their 1:1 computing success in neighboring classrooms. Internet Safety - Over 50% more teachers reported they are now very comfortable with Internet research and safety. Skills - Teachers consider approximately 1/3 more students to be advanced computer users. College - Students who plan to go to college increased by 1.6%. Frequency - The number of students who use a computer every day in the classroom more than doubled. The price of $995 is for schools under 250 students. If you are a larger school, please call (866) 344-7758 for pricing and additional materials. Digital Wish's experienced teaching trainers are available to assist you with implementing and personalizing the curriculum units to meet your needs. As we have done with our first 28 schools, we can provide full service teacher training. Contact [email protected] or call (866) 344-7758 for details. A critical part of implementing a 1:1 computing and IT curriculum program is to assess the program for improving the process and determining success levels. Digital Wish has assessment tools to help you do this. Survey questions are given to students and teachers in both the pre - initiative and post - initiative periods. In our Vermont and New Hampshire programs, both students and teachers reported increases in computer literacy, rising comfort levels with technology, and overall increases in engagement. Find out more about our assessment and results here . Call (866) 344-7758 for details on our assessment services. �No matter where you live, the combination of ubiquitous technology access and proper training in 21st century skills is critical to bridging the learning gaps and providing equal opportunities for students in every socio-economic class." Bird continued, �Students and teachers have become technologically fluent very rapidly; learning independently and solving real world issues. We implemented a unit where students would study local businesses before being challenged to create their own business ideas. For many students, this was the first time that they had ever envisioned themselves as entrepreneurs. It�s a real game changer as students plan their future, and we�ve already secured funding to implement a multi-grade mentorship program for the Fall." Our turnkey curriculum pack, Digital Citizenship, guides students and teachers through internet safety, media resources, and media copyright. Digital Citizenship provides clear instruction on cyber safety with class instruction, video activities, and student projects. 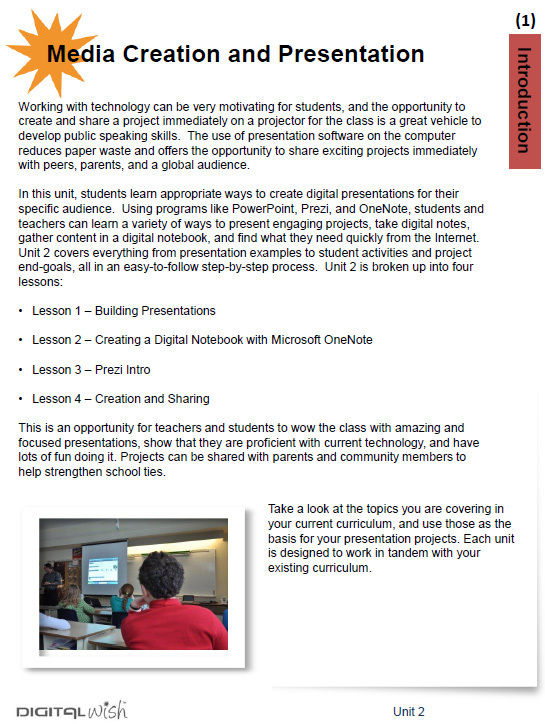 After this unit, students will be well-prepared to use technology in a safe, respectful, and responsible way. The Digital Citizenship Unit comes to you in a clear, easy to navigate full color spiral bound book that you can use throughout your school every year. 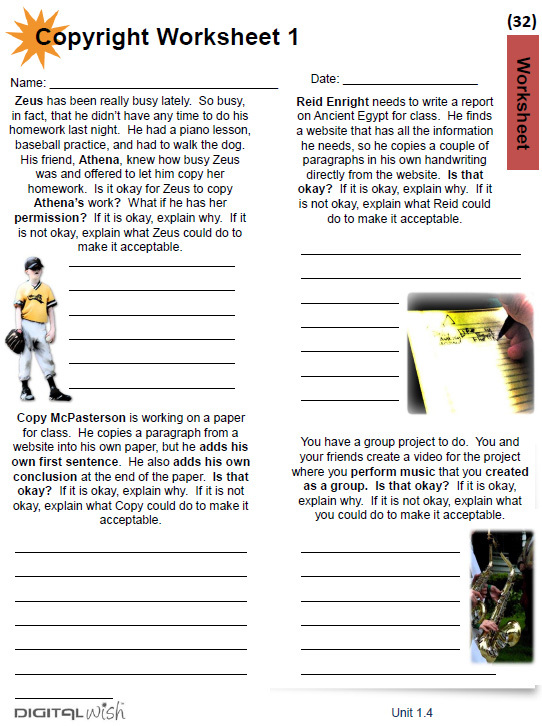 Presentations to use along with this Unit's lessons are accessed through a secure portal on Digital Wish's website. 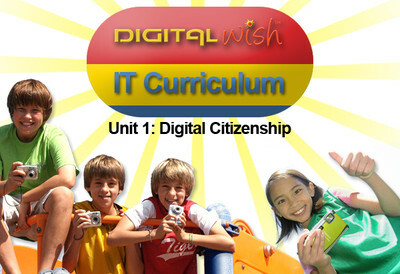 One hour of video consultation with a Digital Wish classroom trainer. You can check out the complete curriculum here. The Community Profile: Oral History of People, Places & Events Unit focuses on strengthening your community connections through history, where students can gain a true appreciation of those who came before them. Through reliable internet research, students can learn about their own town history, identify noteworthy people, see colorful events (both past and present), and take virtual visits to places of interest. Students can become local history experts and share stories with others at school or within the community, and gain a sense of pride and value. 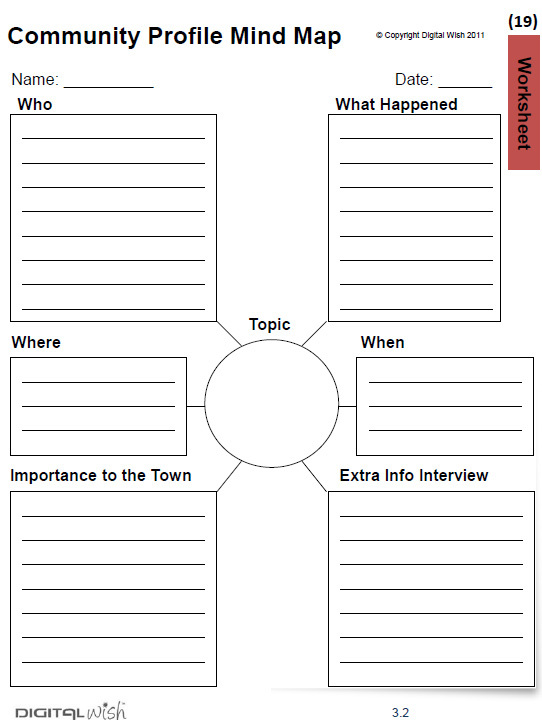 They may also interview a parent, grandparent, community member, or local expert to enhance their project. 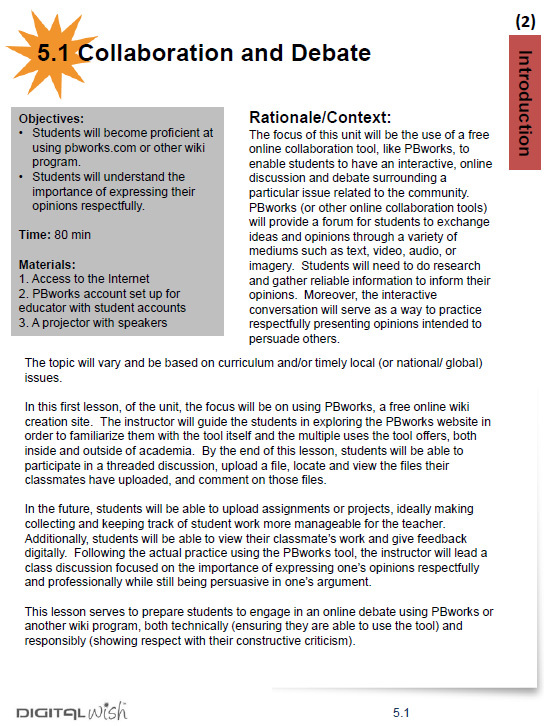 This unit provides instructions for downloading, recording, and editing audio, reliable Internet research advice, and podcasting information.Through collaborative group work, individual research, and classroom-centered learning, this unit will prepare students to navigate the Internet more efficiently. 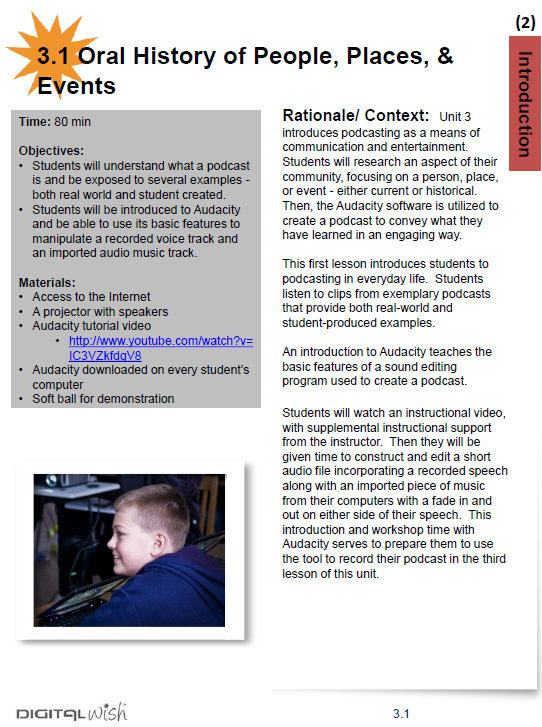 Podcasting projects allow students to become practical experts with audio recording software while creating a solid connection between the history and the future of the community. In the Business Exploration Unit, students will brainstorm what makes a business successful, evaluate company websites, and create a business plan of their own. 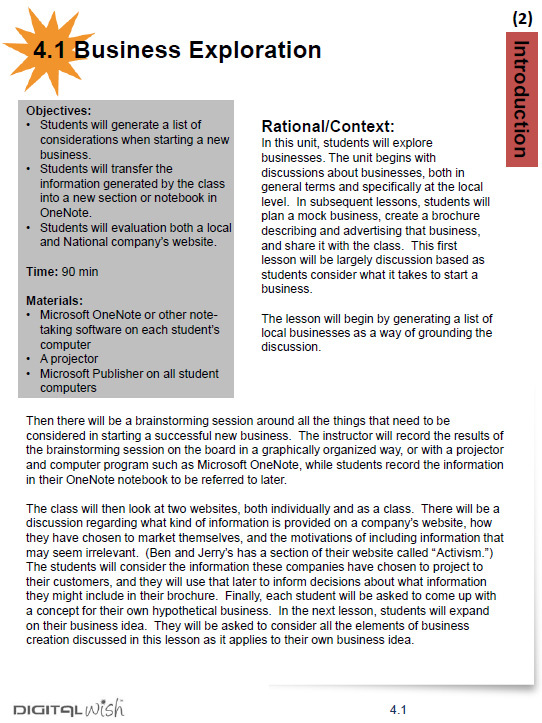 In the last two lessons of the unit, students will use Microsoft Publisher to create a brochure promoting their mock-company. Business exploration is an important lesson for students to understand how our economy works, and in turn, how they manage their own finances later in life. If an eductor can tie future workforce training with classroom technology and real-life skills, the results are often astounding. Towns and cities want a strong economy, and most would like to see their students graduate and stay close to family, start companies, or just to be productive members of the community. With proper training at an early stage, students can become business-savvy, have a sharp eye for website detail, and learn how to communicate in a valuable work-related environment. This unit is another way of gaining community support, where the town can see real-life skills develop quickly using modern technology and Web 2.0 applications. It is common to have students share ideas with relatives for improvement of their family business, or even to go on to create a plan to make their business dream a reality. Student collaboration works very well here, and students can find support and encouragement from fellow mock-businesses in the classroom (even promoting each other!). 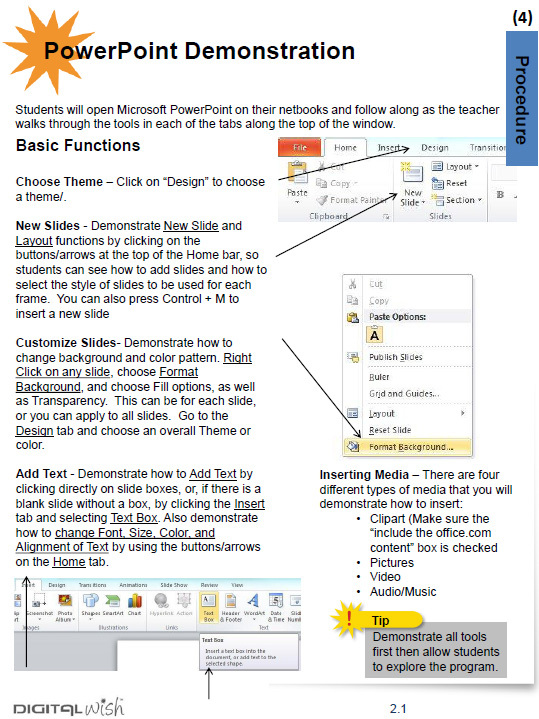 In the Classroom Collaboration and Debate Unit, students will become editors of their own classroom wiki or other collaborative website. 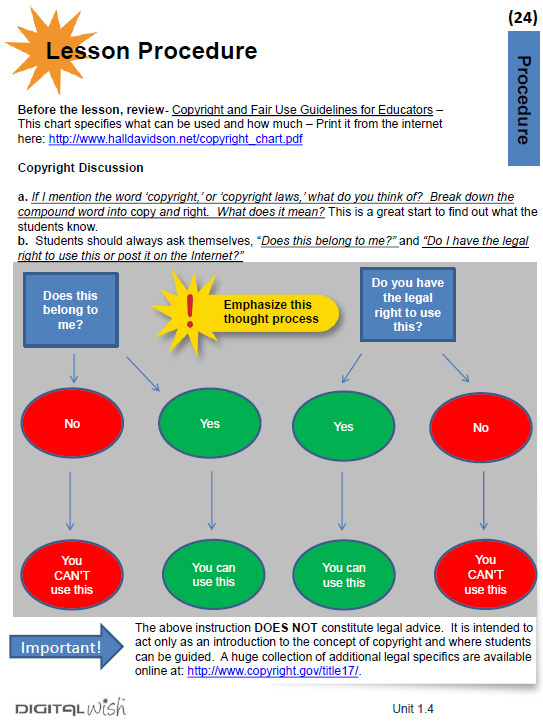 The right wiki program will allow students to post questions, pictures for analysis, or documents for group editing. They will also be able to see their classmates� work and give feedback digitally, creating a classroom environment that gives all students a voice and nourishes and fosters fresh ideas. Moreover, it is an excellent opportunity to practice good digital citizenship. 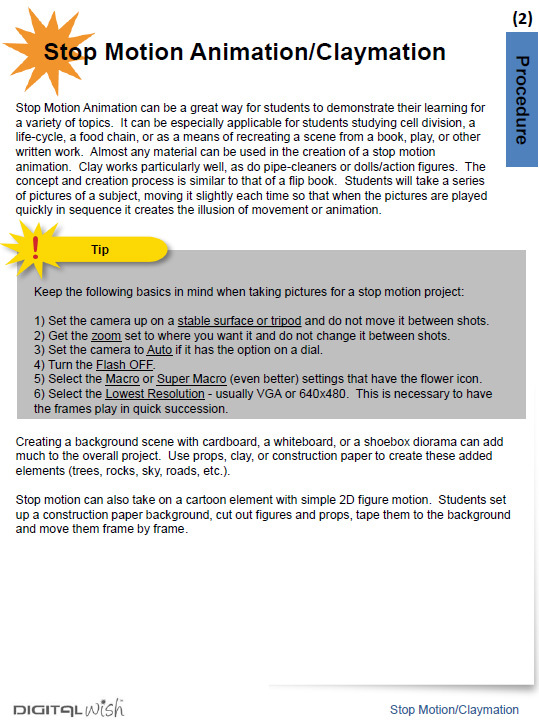 Step by step, students can be trained not only on how to use the technology, but also how to use it appropriately in a collaborative setting. Educators have always led by example, teaching young people much more than the state and federal standards, core curriculum, and grade-level projects. We teach them conflict resolution, appropriate behavior, social interaction, and, in many cases, right from wrong. The ability to use a digital tool to comment, respond, and post messages in a polite, respectful, and constructive manner is difficult for many students and adults. In a secure and controlled environment, students will practice the giving and receiving of feedback and engage with others via a digital platform. The Internet itself is a collaborative project, and anytime we use the Internet we are participating in a global online community. The skills students take away from this unit will only become more important as Internet usage increases. The Projects, Tools and Web Resources Unit is composed of three sections: Projects, Tools, and Web Resources. In the �Projects� section you will find four freestanding projects using digital tools such as claymation, digital photography, video projects and a photostory. Finally, the �Web Resources� section is an expansive list of useful links organized by subject.